Welcome to Selfish Fitness Center! Selfish Fitness Center located in Tupelo, MS. Led by personal trainer, Jacuana Sykes, our goal is to create a space and time for you. Our goal is to provide the time and space needed to achieve your health and fitness goals. Everyone has a story to tell of where they came from, how they grew up, and how life experiences have molded them into the person that they are today. 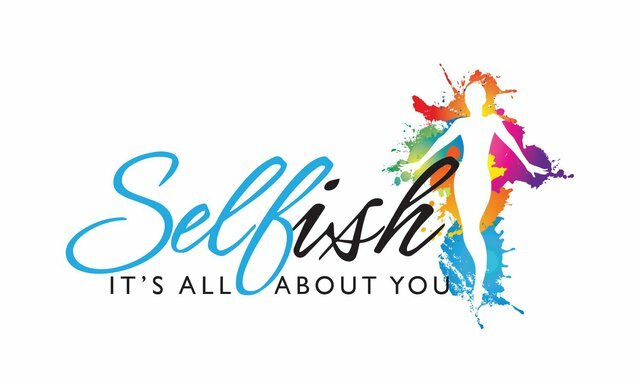 Hi, my name is Jacuana Sykes, Owner and Fitness Instructor of Selfish LLC. Welcome to the short story of my Selfish life. Growing up as a child in Dayton, OH, I was always very active. I found excitement in any activity that kept me moving and on the go. I loved walking, running, and lifting weights on my Dad’s mini weight set in the basement of our home. I grew an interest in maintaining my weight and establishing a healthy lifestyle at an early age. It wasn’t until my uncle bought me two sport bras with matching spandex shorts, that really got me motivated to workout. It’s amazing the excitement I had to break a sweat just because I had new workout clothes. I just so happen to find a Reebok hip-hop dancing workout video that my mom had stashed away in her video collection that went right along with my new apparel. I was too young to go the gym but ecstatic to workout at home. With the perfect gear and the perfect fitness video, I was able to create a memory of my own. I sweated so hard and was extremely sore, but had so much fun! At that moment, at the age of 10 years old, I fell in love with fitness and group fitness workouts. I knew someday, somehow, I would have to be a fitness instructor. It wasn’t until my 2nd year at Alabama State University that I realized that I could make a career out of being a fitness instructor, and thereafter, owning my gym/fitness studio. In my marketing class, the final project was to create a Marketing Plan. My thoughts were, “Why create a marketing plan for another business when I can create a Marketing Plan for the business that I would love to own one day?” First, I had to decide on a name. I wanted something catchy and meaningful. The first name that came to my mind was Selfish. Selfish was always thought to be a negative term or characteristic of someone. I wanted to turn that negative into a positive by providing a service that is solely center-focused around the customer. That way, it is absolutely okay for someone to be Selfish. I wanted to provide a one-stop-shop for beauty; a salon, spa, and fitness studio all-in-one! This would be a place that would take pride in the customer being Selfish. Currently, my business resides in Tupelo, MS. Tupelo is a growing city which is an excellent location to start my business. I look forward to all the lives that Selfish LLC. will touch, all the smiling faces seen as customers come and go, and the satisfaction in their eyes, knowing that Selfish was one of the best experiences they’ve ever had. My name is Jacuana Sykes and I am bringing the Selfish experience to you.